Occult HCV infection (OCI) has been described as the presence of hepatitis C virus (HCV) genomic RNA in hepatocytes and/or peripheral blood mononuclear cell (PBMC) specimens and the lack of HCV genomic RNA and anti-HCV antibodies (Abs) in plasma samples. Injection drug users (IDUs) are the most important high-risk group for infection with blood-borne viruses, particularly HCV. The purpose of this study was to determine the presence of OCI in IDUs. A prospective cross-sectional study of 126 consecutive Iranian IDUs was performed from March 2017 to January 2018. PBMCs were separated from blood samples from the participants, and after extraction of the viral RNA from the plasma and PBMC specimens, HCV RNA was detected in the samples using RT-nested PCR by amplification of the 5′-NTR of HCV. HCV genotyping was carried out using restriction a fragment length polymorphism (RFLP) assay. The viral RNA was amplified using RT-nested PCR with specific primers for the NS5B gene, and the PCR products were sequenced to confirm the results obtained by HCV RNA detection and HCV genotyping. 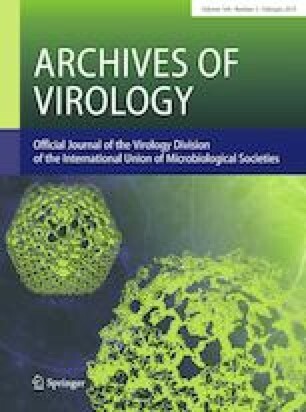 Out of the 126 IDUs studied, 105 (83.3%) were negative for anti-HCV Abs and HCV RNA in plasma samples, whereas HCV RNA was detected in the PBMC samples of six (5.7%) participants, indicating that these individuals had OCI. Moreover, HCV genomic RNA was detected in PBMC samples from five (23.8%) of the 21 IDUs studied who were positive for anti-HCV Abs and negative for HCV genomic RNA in plasma specimens. These IDUs also had OCI. The HCV genotypes in the PBMC samples from the subjects with OCI were determined. Six (54.5%) subjects were infected with HCV subtype 3a, and five (45.5%) were infected with HCV subtype 1a. This study showed that 8.7% of the Iranian IDUs had OCI, and therefore, a study focusing on the diagnosis of OCI in these individuals can be valuable and informative. Handling Editor: Michael A. Purdy. The authors of the current research would like to thank all the injection drug users who enrolled in this study. This project was financially supported by Research Deputy of Iran University of Medical Sciences (Grant Number: 27948), and it also was extracted from a thesis written by Maryam Sheikh, who was financially supported by a grant from Iran University of Medical Sciences (Thesis Number: 9411541003).